For those of you who don't know, Google brought their virtual hammer down on a number of sites and networks over the past week or so in the form of a PR update. Many well-known sites and networks took a Page Rank beating, with many sites dropping as much as two full Page Rank points. 2. They cross-linked to each site that was in their blog network. For the sites that sell Text Link Ads, there can be no surprise as to why you are getting punished. Google will reward sites that have a large number of on-topic articles, same niche inbound links, and similarly themed outbound links. When you start selling Text Link Ads on a site that is about say, gardening, and all of a sudden you have Text Link Ads for office chairs, digital cameras and SEO e-books, you have a problem. You are taking advantage of the status that Google has given you. Google has said, we are rewarding your site because it is an on-topic authority site in its niche, and now you are selling off-topic text link ads? We don't think so. Page Rank is one of the biggest factors in determining how much people can sell their Text Link Ads for, so in lowering their page rank, they are hopefully going to convince some sites to ditch their Text Link Ads. I mean, we made the conscious decision to remove Text Link Ads for all of our network sites a few months ago, for this exact reason. We aren't geniuses, so certainly other site owners were aware of the risk that they were running, and can't be surprised by what has happened. 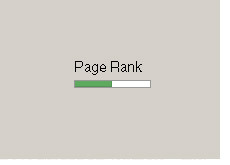 The second reason for the decrease in Page Rank is a bit trickier. Google doesn't like major cross-linking between sites, and if you do this, you run the risk of being punished. If you are linking out to 100 sites in your network, and those 100 sites are cross-linking to the other 100 other sites in the network, then you will have a major problem. Kudos to Google for making a necessary, though unpopular, decision to punish these sites.